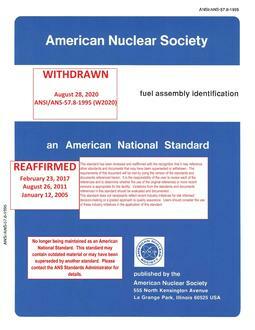 This standard describes requirements for the unique identification of fuel assemblies utilized in nuclear power plants. 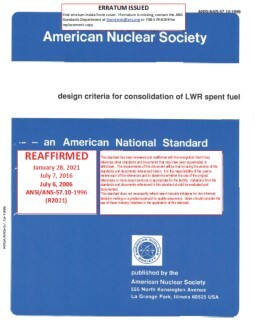 It was developed primarily for commercial light water reactor fuel but may be used for any reactor fuel contained in discrete fuel assemblies that can be identified with a serial number as specified by this standard. This standard defines the characters and proposed sequence to be used in assigning identification to the fuel assemblies.